When you hear Emerald Isle you might think of something related to the Wizard of Oz, but this time it’s not the case. This NYX Gaming video slot is actually Irish-themed, and you’ll find a lot of four leaf clovers, beautiful red-haired women, leprechauns and more. The game has a 96.59% RTP and a nice bonus feature. Bonus Round – land a leprechaun on the first and fifth reels and you will trigger the bonus round. Match any chests with the same amount and win that prize. You can win up to 500 times the triggering bet. Free spins – three or more rainbow scatters will trigger the free spins bonus round. 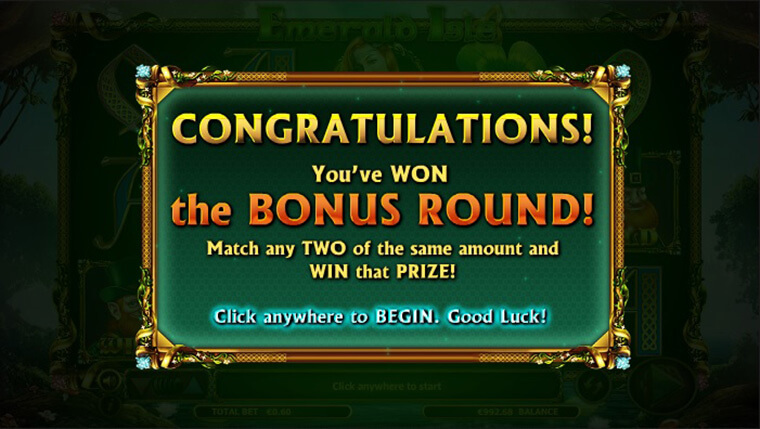 You will receive ten free spins with tripled prizes.